​The loss of her parliamentary majority has fundamentally changed Theresa May’s mission as Prime Minister. For the next two years, May will try to fight tooth and nail to fulfil Vote Leave's promise to take back control. Whether or not she makes it beyond this year’s party conference is a different matter, but May is determined to carry on. May’s major Bills in her first (and almost certainly her last) Queen’s Speech are all related to Brexit. This was always going to be the case given the need to pass the Bills before March 2019 when Britain formally exits the EU. May is sticking by her Lancaster House speech. British sovereignty will return over trade, immigration, laws, territorial waters, agriculture, nuclear safeguards, and international sanctions. This is all in line with the government’s plan to leave the customs union and the single market. Some tweaks have been made to May’s Brexit plan. The government’s tone on Brexit has softened as the Queen’s Speech made a commitment to “secure the best possible deal as the country leaves the European Union” and “build the widest possible consensus on the country’s future outside the European Union.” Despite the toned down rhetoric, Brexiteers will loudly support May for fear of a leadership contest leading to a new “soft Brexit” Conservative leader or triggering an election in which Labour wins a majority. This will be a two-year long legislative slugfest which exposes divisions across the two main parties over Brexit. Although both the Conservatives and Labour pledged to leave the single market and customs union in their manifestos, there will be resistance from the backbench MPs opposed to what they call a “hard Brexit”, including the Tory awkward squad led by Anna Soubry and Nicky Morgan, and at least 34 Labour MPs. The House of Lords and the Scottish Parliament also have the power to derail the Brexit Bills. As a lifelong Eurosceptic, how far will Jeremy Corbyn go in collaborating with the Conservatives to implement Brexit? Since the election campaign ended, Corbyn and the Shadow Chancellor, John McDonnell, have repeated their manifesto pledge to honour the Brexit result. Attempting to thwart Brexit, by for example blocking the Repeal Bill, could risk the wrath of their pro-Brexit working-class supporters who left UKIP for Labour two weeks ago. Domestic policy in the Queen's Speech was an entirely different affair. For the past year, May has been crafting her analysis of how the failures of the political class led to the Brexit result and what can be done to correct these failings. The manifesto which addressed these problems and formed the basis of May’s mandate for change has now been shredded. With the loss of a majority, and the bandwidth being consumed by Brexit, this is unavoidable. Policies such as grammar schools, the so-called “dementia tax”, and cuts to pensioner benefits will not see the light of day. But while the details of Mayism have been changed, the general direction of travel has not. Measures were announced to put an industrial startegy into action through technical education reform and infrastructure investment, inject fairness into markets such as energy and housing, tackle social problems related to domestic violence and mental health, and respond to the challenges of extremism and terrorism. These are all worthy, if unambitious, proposals to help improve the country and keep the flame of Mayism alive during and beyond the Brexit process. Conservatism is at a crossroads. Instead of witnessing the beginning of a Tory renaissance under a Mayite revolution, Conservatives are questioning whether or not their party even has a future. 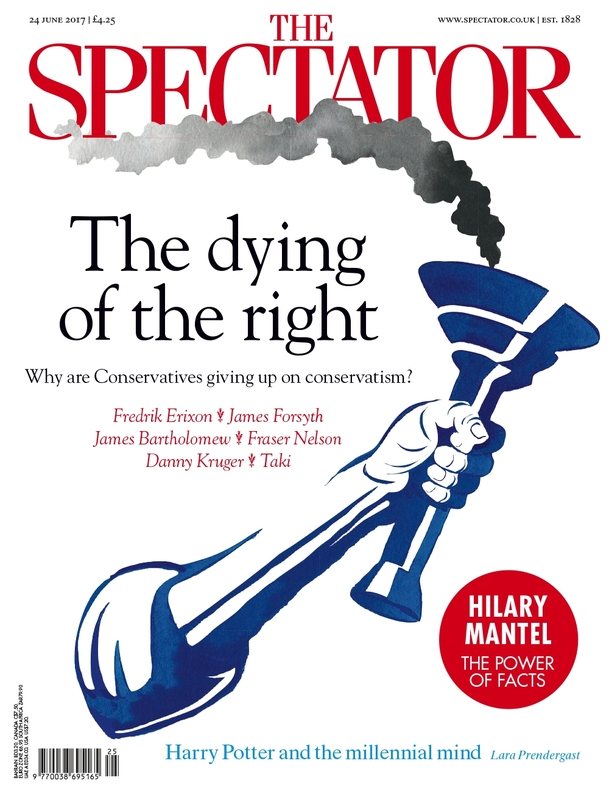 The Spectator has declared this moment as “The dying of the right”. It is an existential crisis which May is not capable of resolving in light of her failed election gamble. But May could, perhaps successfully, steady the party through the Brexit process and be remembered as an honourable, albeit flawed, Prime Minister. Ever since the exit poll flashed on television screens across the country, speculation has been rife as to who will succeed Theresa May as Prime Minister and leader of the Conservative party. May now serves at the pleasure of the Cabinet and is stabilising the new minority government as Brexit negotiations begin. For now, Conservative ministers and MPs insist May will stay as leader for the long-run. But calls for a leadership election are growing in the centre-right press, especially after the clumsy response to the Grenfell Tower fire. Even if May does remain in office to oversee the next two years of Brexit negotiations, there will be a constant stream of stories about who her successor will be, and there is already a clear field of candidates. Commentators understandably focus on the personality traits of politicians when judging their suitability for high office, but principles and ideology matter as well. Each candidate would mean different things for the future of Conservatism and Brexit at a moment when British politics is in flux. Among the ground troops of the parliamentary Conservative party, there are two broad camps; the Tory right and the Tory mainstream. The Tory right has a serious and credible candidate with David Davis who has impressed many during his tenure as Brexit Secretary. Brexiteers trust him to implement the Brexit blueprint set out in May’s Lancaster House speech, more so than any of the other candidates. As a free-marketeer and civil libertarian, Davis would make the economic liberals and libertarians in the party very happy indeed. Davis’s humble background also makes him attractive as a Conservative in the Thatcherite tradition. The only risk is that Davis as leader could be interpreted by the electorate as a step back to the pre-Cameron era of the “nasty party”. As for the Tory mainstream, the centrist wing of the party, there is a weaker and more fragmented field of candidates. Nicky Morgan and Jeremy Hunt are well known to harbour ambitions for the top job. They lack the seniority or support enjoyed by their rivals but could still throw their hats into the ring. Philip Hammond is the big beast in this camp who could stand for the leadership. This is very much the home of Tory Remainers who want to see a “soft Brexit” which puts jobs and growth before controls on immigration, and Hammond has consistently been their spokesman in the Cabinet. The risk of Hammond as leader would be a large-scale Brexit backlash from Leave voters in the next election. Then there are the Tory modernisers, the officer class which ran the party under David Cameron. There is a divide within this camp over Brexit between the Osbornites and Borisites. George Osborne is no longer in Parliament but he still has an influential network of allies which he cultivated during his time as Chancellor. The most formidable of these allies is Amber Rudd, the Home Secretary, who had a “good war” during the election campaign and has been a strong advocate for Tory Remainers in Cabinet. But Boris Johnson, the Foreign Secretary, is attractive to many Tories as the populist who led the Vote Leave campaign to victory with a positive, liberal case for Brexit. Since his return to Cabinet, Michael Gove could become a kingmaker between Rudd and Boris. Despite their differences on Brexit, both candidates would return the party to the liberal Conservatism of the Cameron-era. Noticeably, there is no faction of Mayites ready to back a candidate who shares May’s vision for a communitarian conservatism which charts a middle way between globalism and nationalism. May’s manifesto is being torn up and Nick Timothy’s ideas discredited because of the disappointing election result. There were certainly mistakes made in the manifesto and the election campaign, but there is much in Mayism which can help the Conservatives prosper in the future. The next Conservative leader faces a difficult electoral challenge. He or she will have to reach out to the working-class Leavers, middle-class Remainers, public sector workers, and young people who fuelled the Labour surge. Falling back on old ideological templates will not help. Brexit has reshaped the political landscape and the Conservatives will have to adapt in order to survive. Conservatives cannot wait until a leadership election to discuss the party’s future. The conversation will have to start now and could very well decide whether the party has a future as a majority party. As the dust begins to settle, Conservatives have already started to look at why they lost their majority last week. One powerful narrative which has begun to take form is the argument that seven years of austerity have led to public sector workers being left behind while the economy continued to grow. The election campaign brought these issues into sharp focus. In the past several months, the NHS suffered its worst winter crisis since 2004, the social care system reached a breaking point, and cuts to police numbers were blamed for the three recent terror attacks. This was not helped by a manifesto which promised to cut pensioner benefits and scrap free school lunches. Voters were not satisfied by the Conservatives’ miserly offer of prolonged austerity and economic competence. Despite the fascinating ideas outlined in the manifesto’s introduction, there was no “retail offer” to compete with Labour, few policies for Conservative activists to brag about to voters. There were certainly mature, grown-up policies to help the country face the “five giant challenges” of our time. But it did not say how a Conservative government would make voters and their families better off. For all the gimmickry of the 2015 manifesto, it at least told voters clearly how they would benefit from a Conservative majority government. As the Conservatives begin to rethink their approach towards austerity, it is important to remember that fiscal responsibility is a fundamental Tory principle. Abandoning this principle would be a major surrender to Jeremy Corbyn in the battle of ideas. The national debt stands at a staggering £1.9 trillion and 86% of GDP. This is a burden which millennials will have to help pay off for most of their adult lives. If Conservatives start to oppose all spending cuts, then it is hard to see how the government can keep borrowing and debt under control. Instead, Conservatives should look at reconfiguring the deficit reduction programme so the burden does not fall disproportionately on hardworking people, especially public sector workers. This year, their wages were cut in real terms due to the pay freeze and creeping inflation. By 2020, average public sector pay could be £1,700 lower than in 2010. The economy might be growing, but this is clearly not being felt by everyone. As an opening move, the Conservatives could increase the cap on public sector pay. The burden of spending cuts needs to move away from the workers who keep our public services running. In her first party conference speech as Prime Minister, Theresa May declared “we are the party of workers.” Last week’s election results proved that Conservatives still have their work cut out for them. Austerity is necessary, but it has to be implemented in a way which protects workers, the “just about managing”. If the Conservatives want to truly become a party of workers, then that must mean embracing public sector workers. Hope is an election winner. Politicians who promise a positive vision for the future are often election winners. Last week, Ruth Davidson led an extraordinary Tory revival in Scotland, and Jeremy Corbyn rallied an impressive youth vote. A couple of days ago, Emmanuel Macron won a stunning landslide in the first round of the French parliamentary election. Voters clearly do not just look to their leaders for competence. They look for optimism. Conservatives sometimes fail to remember this lesson. Realism and pragmatism run deep in the party’s history, sometimes pessimism and fatalism have come through too often. The sober and grown-up approach taken by Theresa May failed to inspire and cost her majority as a result. In some ways, the Conservative campaign was downright off-putting. The constant negativity and sloganeering produced a dreary campaign by a party which did not offer hope. This has not always been so. Sir Winston Churchill, the Conservative party’s greatest leader, was a bastion of hope during Britain’s darkest hour. Churchill’s memory does not just endure because of his achievements, but also because of his endless capacity to inspire. Margaret Thatcher also spoke to a country in crisis and promised to stop managed decline and restore national pride. The genius of Churchill and Thatcher can never be replicated, but that should not stop Conservatives from putting optimism at the heart of their party’s identity. David Cameron tried to bring some optimism back to the Conservative party. In his 2006 party conference speech, Cameron famously said “Let optimism beat pessimism, let sunshine win the day.” It is easy for people to mock Cameron’s “hug a husky” and “hug a hoodie” moments during his efforts to make Conservatism more appealing. But what he was trying to do was important. Conservatism cannot endure if it cannot win hearts and minds, if people cannot be proud about the fact that they are Conservatives. With morale in the Conservative party so low after hopes for a landslide victory were so dramatically dashed last week, the need for optimism cannot be overstated. The country stands at an historic turning point. Brexit promises tremendous opportunities for a more confident and independent Britain. The challenges presented by the party running a minority government remain real and serious, but they can be overcome. Over the past year, the government established a plan for Brexit which would honour the Brexit result, namely to leave the single market and the customs union. But this plan needs to be sold not just to the British people, it also needs to be attractive to our European friends and allies. An excellent way to kick off Brexit negotiations on the right foot, and appeal to Remain voters, would be to unilaterally grant the right to stay for EU citizens in Britain. The government’s rhetoric should embrace Britain’s cultural links with European nations, and make it perfectly clear that to support Brexit is not to be anti-European. Difficult times await Britain, but we need to keep believing in the best of our country and its people. It is time for the Conservatives to rediscover their optimism and push forward with a plan for Brexit which shows that our best days are still ahead of us.